I support a dozen or so family and friends PC’s along with several of my own. Windows 10 has got me more perplexed than any other OS. I’m an early adopter of every version and lock them down as much as I can through Group Policy and vetting all the settings. However I realise that I’m doing this for my family and friends too, without giving them the opportunity to experience Windows 10 naturally for themselves. Reading alot of tech magazines I have never came across an article where it can be proven that Windows 10 has ever used any data over the last three years for nefarious purposes. They are always on either side of the fence, Microsoft is evil or take off your tinfoil hat. This has left me in the middle chopping and changing OS’s and not really enjoying computing at the moment. I am at a point in 2019 where I think sod it let Windows 10 use the express settings and just move on enjoying all the cloud applications, cortana, timeline etc… rather than locking everything down. Surely if there were any truly terrible privacy and security invasions someone would have discovered them since 2015. Windows 10 is capable of taking care of itself, and works best when left to do what it is designed to do. 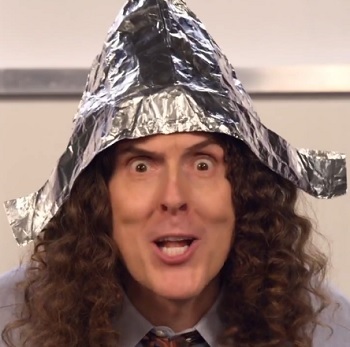 These tips from the “tinfoil hat brigade” do more harm than Windows users often realize. Especially when talking about Windows services and disabling them based on groundless rumours and paranoia can lead to unexpected consequences. Services are intertwined in such a way that a service disabled by a user can cause other services not to work at all, or to work badly or inefficiently. I am repeating myself, having said this several times on various forums and on social media, but in my opinion it needs to be repeated: The telemetry Windows 10 collects is to learn how you use Windows, what your interests are, what you search for and use. Consider, Windows does all this anonymously. The only goal in collecting this data is to improve Windows and your user experience. Windows “calling home” is so minimal it has absolutely no impact on compute capability, Internet speed or storage space. Microsoft is not “spying” on users. Thus, the telemetry Microsoft collects is to make Windows better, and to improve the Windows user experience. Microsoft will not call your ex if you called her a stupid cow in a Skype chat with a friend. Microsoft will not print your most embarrassing social media photos and put them on display on Redmond campus to give their personnel a good laugh. Microsoft will not report you to the authorities if you mention in an email that you lied in your tax declaration. Let Windows to do its job. Since the early days of Windows Vista, I have not used any cleaners, optimizers or tweakers. There’s a clear correlation between posts on tech sites asking for help and the amount of tweaks and disabled Windows features and services these posters have applied. For myself, letting Windows 10 do its job, I have had no issues, excluding of course issues caused by bugs in Insider builds. Windows collecting telemetry data is a good thing. Let it do its thing. Windows can only get better as a result. Just like most/all conspiracy theories, flat Earth, no moon landings, SSDs not lasting, …. I could go all day long with those. All comes from not using your head but somebody else’s. It makes me sad to see how often stupid decisions are made because of “I heard that…” or “My friends told me that…”. Thanks for a very refreshing point of view, Kari. Let me get you a coffee. This site and your tools should get more attention. I dont know you & have never been here before .. but if this is a sample of your work & ideas you are an F-ing idiot. Thank you for your refreshing comment, Supergirl! The Windows 10 64 bits telemetry is slowing down my system. It’s impossible to delay the time that telemetry starts. Why telemetry service starts at boot without no reason? I generally agree with you – the vast majority of the privacy settings are fairly benign or neutral. Though, I would say that blame doesn’t solely lay on users for their paranoia – it doesn’t help when Microsoft doesn’t properly explain what it all is and lets imaginations run wild. Anyways, at an enterprise deployment level, the telemetry feature concerns me as it does log keystrokes. This can be a major concern with regards to the regulations businesses are under with regards to safeguarding customer data. Yet, oddly enough I’ve been unable thus far to find any real good write ups on the specifics of these settings. Any time I search for info or articles on the subject, I do see more of the groundless paranoia that you mention. When I get discussions that aren’t groundless paranoia, it’s mostly sysadmins that don’t trust that it’s safe and secure and would prefer to err on the side of caution. Would you know of any resources that I would be able to find more definitive answers and explanations about these privacy settings? I fully agree with you, telemetry documentation is almost completely missing. Not clearly documenting what various telemetry settings do makes Microsoft itself partly guilty for the paranoia we are seeing. My Win10.guru partner Ed is about the best Windows security expert I know. I’ll take this topic up with him and ask if there’s some information available you and I are not able to find.